One of Azendoo’s initial goals was to overcome or even liberate teams from internal email communications. But email is still unparalleled in terms of usage and adoption. Everyone has email and there’s no clear alternative at this point. Email newsletters are still the best communications channel for businesses, bloggers, and governments, among others. Plus, email can act as a notification center: many services offer email alerts to notify their subscribers about specific events. For instance, server monitoring services will send emails when your website is not accessible. Above all, email has become almost as formal as a physical letter, and can be used as legal proof in many circumstances. It remains the preferred communications channel with external entities for this very reason. 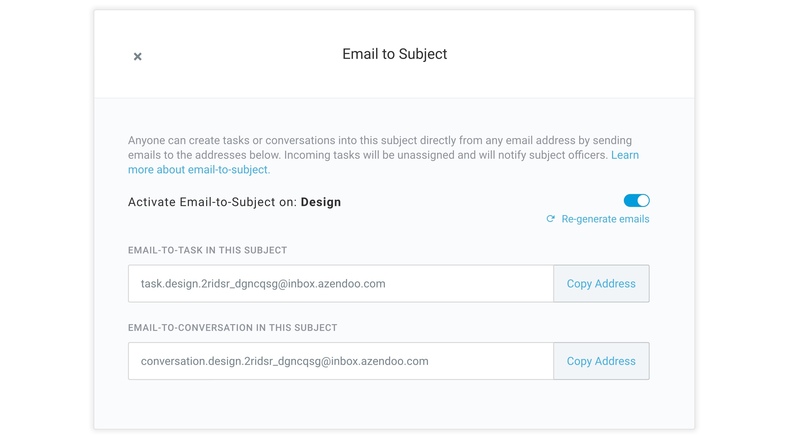 Email-to-task already enabled you to send or forward an email to create a task in Azendoo. Now, every subject has two email addresses: one to create a conversation in the subject and another to create an unassigned task in the subject. 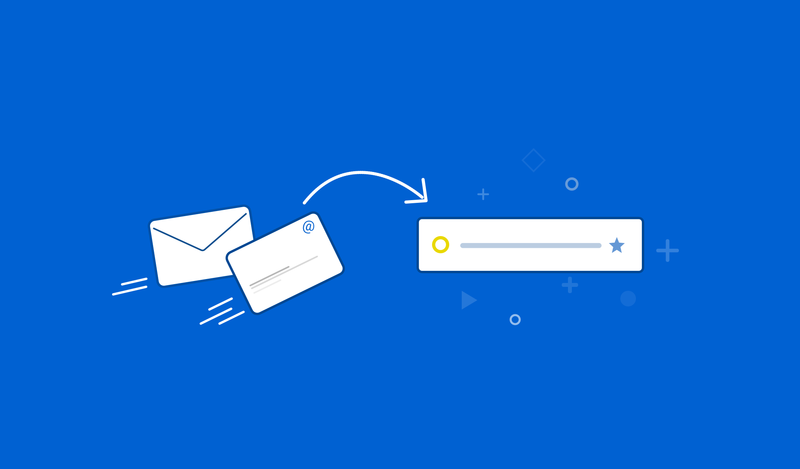 Unlike email-to-task, emails can be sent from any email address, which means you can share it with your clients, suppliers, freelancers, and any other external parties. You can also set custom rules in your email provider’s settings to auto-forward certain emails to specific subjects as tasks or conversations. Incoming tasks created via these emails will trigger a notification to the subject officers so that they know about the new task and can act upon it or assign it to the appropriate team member. 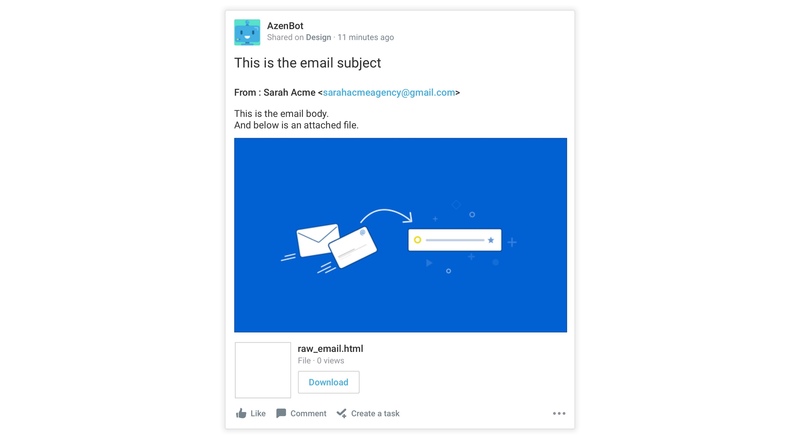 Similarly, you can add the subject email address as an email recipient when sending an important email, so that you send a copy directly to Azendoo. 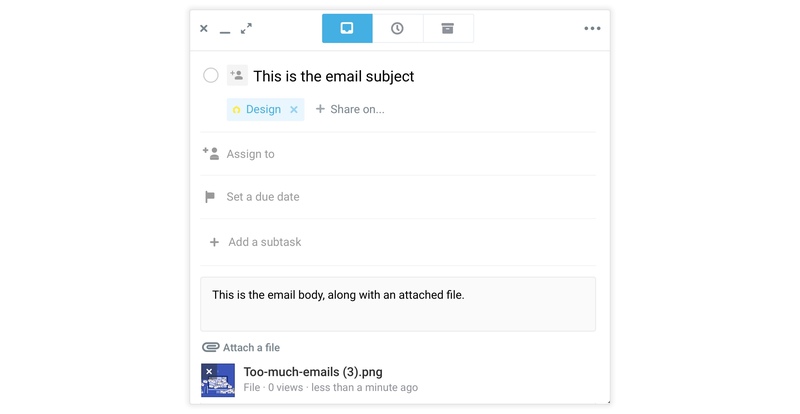 Workspace admins and subject officers can activate the email-to-subject by clicking on the subject menu and selecting “Email-to-Subject” and clicking on the button to activate and display the email addresses. Once activated on a subject, everyone who has access to this subject can access the email addresses. Click on the subject menu and select “Email to Subject” to display the dedicated window. You can also add these addresses to your contacts so that you don’t have to remember the complex email address and can quickly send or forward emails on the go. There are so many uses for this feature that we would love to know how you use it! Let us know your thoughts in the comments below.